Does your Wedding Ceremony Venue have Amenities? Does a wedding ceremony venue need to have amenities? Picture this – You dream of having your romantic wedding ceremony on a cliff high above your favourite bit of ocean or landscape. The wedding party is OK; you are arriving in a helicopter. Your Guests (and your Celebrant, Photographer, etc are not so lucky. They have to drive, or walk up a road that leads off another road that is quite a way from anywhere! Recall, you invited your guests! They expect that you will at least consider their basic needs. Basic needs can only be met by having amenities available. Amenities include services such as toilets, showers, electricity, shelter, drinking water. Your chosen wedding ceremony venue may not have amenities on site. This does not mean that the venue is unsuitable for your wedding ceremony. However, you do have to think about your guests and service providers. Where are the closest public amenities located? How do you tell people about what is, and what is not available on site? This map of national public amenities is a good start. 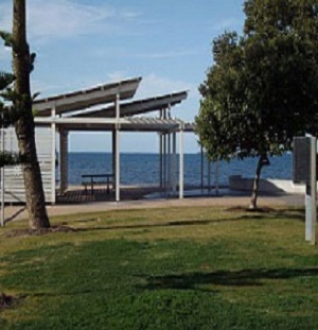 You can check the availability of amenities in public parks and areas. Even if your wedding ceremony venue is in a private venue, this information can be helpful. As a Brisbane Marriage Celebrant, it is my responsibility to ensure the welfare, not only of myself, but also of your guests at your wedding ceremony. One of my key questions is about the availability of wedding ceremony venue amenities. I also ask you how you will be advising your guests about your wedding ceremony venue. Here are some questions for you to think about. Do we need to bring umbrellas? Do we need to bring drinking water? Your Guests are VIPs (Very Important Persons). Look after your guests’ needs and your guests will be happy! Happy guests make for a happy celebration. You will find other helpful links and resources for choosing a venue for your wedding ceremony on the Links & Resources page of this website. What Wedding Ceremony Rituals & Traditions are used Today? Some wedding ceremony rituals & traditions are used so often that we expect them. The ‘kiss’ is one of these traditions that we see in most ‘western culture’ weddings. Further, these ‘expected’ rituals are often regarded as ‘must have’ wedding traditions. Exchanging or giving of wedding rings is a popular ritual or tradition that is part of many wedding ceremonies. The bride may receive a wedding ring, or the bride and groom may exchange weddings rings. Wedding rings are regarded as tokens or symbols of the loving vows made in the marriage contract. However, couples may choose to exchange or give other some form of love token rather than rings. But back to the ‘kiss’ and its significance. What is its history? The ritual and tradition of kissing is believed to be the action that sealed the marriage contract for a couple in Roman times. Mind you, the Romans used the act of kissing to ‘seal the deal’ in any legal contract! As time went on, the ritual of ‘the kiss’ in the wedding ceremony took on a more romantic touch. Some cultures regard the wedding kiss as the first time that the bride and groom actually touch each other as husband and wife. In modern times, the bride and groom may hold hands during the exchange of vows, so the kiss as the ‘first touch’ doesn’t really apply. Today, the kiss ritual is most often performed immediately following the pronouncement of the couple as husband and wife. The kiss is still regarded as ‘sealing the union’ between the bride and groom in today’s wedding ceremonies. There are many other rituals that you can use in your wedding ceremony. As a Brisbane Marriage Celebrant, I am very happy to include the rituals and traditions of your choice in your wedding ceremony. You can find information about wedding ceremony rituals & traditions on the Rituals page of this website. Flower Girls are delightful! What is the role of Flower Girl? Flower Girl attendants in the Bridal Party assist the entrance of the Bride. A Flower Girl is a great addition to the Bridal Party, and the delight is doubled when there are two of them! Here are Pip and Pepper, those two-and-a-half-year-old twin nieces of the Bridegroom, Pog at Peg & Pog’s wedding. Peg and Pog hope that Pip and Pepper will skip along happily in front of them as they enter the Rose Garden for their wedding ceremony. However, Pip and Pepper have other ideas!! The little Flower Girls take a shortcut to the Rose Garden. After all, weddings are exciting and little girls like excitement. Pip and Pepper race ahead and alert everyone that Peg and Pog are on the path! The Bride and Groom approach and enter the Rose Garden on their own. Pip and Pepper stand in the wedding area and clap excitedly as Peg and Pog enter. Everyone appreciates such a novel bridal procession. This lovely touch sets the warm and happy tone for the wedding and everyone smiles and feels the love. Pip and Pepper are two-and-a-half-year-old girls who do exactly what they want to do! As long as the Bride and Groom and all other Bridal Party attendants prepare for anything, then it is a good idea. Children are unpredictable however, and the chance of ‘different behaviour’ is very high. Girls who consider themselves to be too old to be a Flower Girl have the role of Junior Bridesmaid. The Junior Bridesmaid’s role is actually less complicated that that of a Flower Girl. Junior Bridesmaids have a more relaxed time and do not have any specific tasks on the wedding day. Will you include Flower Girls or Junior Bridesmaids in your Bridal Party? Will you prepare for ‘different behaviour’ on the day? How will you cope with unplanned events on the day? What will you say or do when such unplanned events occur? Keep smiling, treasure the precious moments on your big day and spread the love. Peg and Pog consider who to have as bridal party attendants at their wedding. Apparently, it is ‘traditional’ to have attendants. Glenda, Brisbane’s Very Good Celebrant, asks Peg and Pog why they want to have bridal party attendants. Peg and Pog haven’t actually thought about the why, they just think they should! Glenda, Brisbane’s Very Good Celebrant describes the various roles that traditionally, are included in the bridal party. Peg and Pog learn that the bridal party can consist of just the Bride and Groom! The two witnesses can be guests and do not need to be in the Bridal Party. Peg and Pog can choose whether or not to have Bridal Party Attendants. Bridal Party Attendants are optional. Peg says that she definitely wants flower girls as her bridal party attendants on her wedding day. Pog suggests that his nieces, Pip and Pepper are just right as flower girls. Pog chooses his brother, Milo, to be his ‘Best Man’ at the wedding of Peg and Pog. Milo feels very honoured to be Pog’s ‘Best Man,’ and wants to be the best, ‘Best Man’ he can be! However, Pog is not too sure about the responsibilities of a ‘Best Man’, so he asks Peg, the blushing bride-to-be, if she knows. Peg says that Palo’s role, as ‘Best Man,’ is to assist Pog, the Groom, get ready for the wedding. Although Pog thinks this is a great idea, Pog is still unclear about what exactly the ‘Best Man’ does. Peg asks Glenda, Brisbane’s Very Good Celebrant, for help. The responsibilities of the role of ‘Best Man’ vary, and depend on what the rest of the bridal party expect. 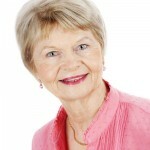 Glenda, Brisbane’s Very Good Celebrant, answers the many questions that Peg & Pog ask. Pog learns that the wedding party is really a team and that he is not on his own on his wedding day! Peg is happy that Pog’s confidence is lifting and Milo is happy that his role as ‘Best Man’ really means a lot to Pog. Milo tells Pog that he is thrilled about his ‘active’ role in the wedding. Milo aims to be the best, ‘Best Man’ for Pog. Being ‘Best Man’ comes with very important responsibilities and Milo wants to do a great job! Pog needs all the help he can get on his wedding day and he knows that Milo is just the ‘Best Man’ for a successful day. 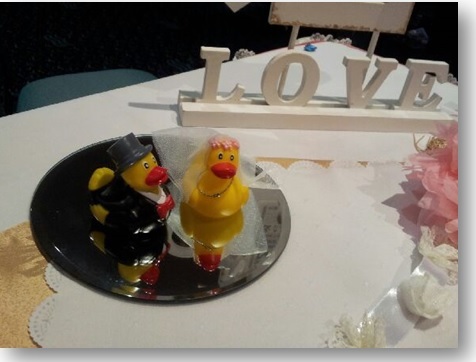 Wedding Ceremony Keepsakes – keep them safe! 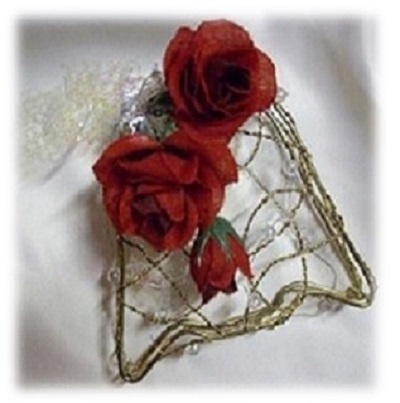 Wedding ceremony keepsakes are those items that make your ceremony special. Your wedding ceremony script, personal wedding vows scripts, and bridal favours are good examples. Keep these precious items and the Presentation Marriage Certificate safe on your wedding day. 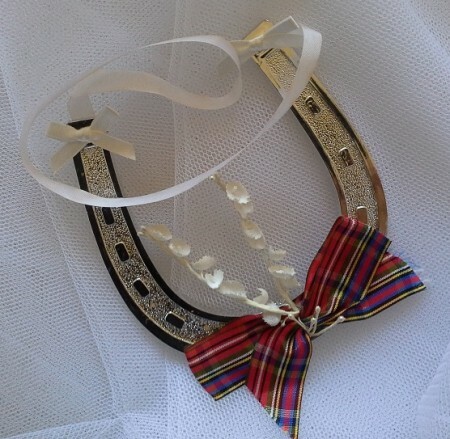 Those something old, something blue, something borrowed items, perhaps a handkerchief, a brooch, or necklace that you carry or wear for the ceremony are very special keepsakes. Further, these keepsakes are irreplaceable. Also, how do you explain their loss if you borrow these items? 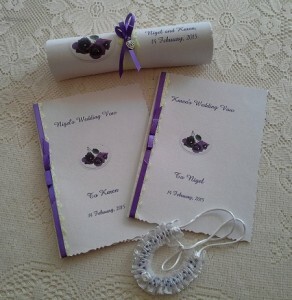 I take the time and care to design special wedding keepsakes for your ceremony. These keepsakes are unique to your ceremony. Fortunately, these keepsakes are replaceable, for a fee of course. I photograph these keepsakes as a record so that if they are misplaced, I can replace them for you. I present the script of your ceremony as a scroll inside a cover, and I hand-make and decorate the sleeve that secures the scroll. Delightful booklets contain your personal wedding vows and both the scroll and booklets reflect the theme colours of your wedding. As a special touch, I hand-make a special keepsake as a ‘good luck’ symbol. This is a ‘surprise’ on the wedding day. When do Wedding Keepsakes go Missing? At the end of the ceremony everyone is excited. Everyone congratulates the happy couple or gathers for photographs, and this is the critical time when keepsake items are misplaced or overlooked. Small items such as keepsakes, and the Presentation Marriage Certificate are treasured items that are easily lost in the excitement of the day. The Presentation Marriage Certificate is not replaceable and if it is mislaid or damaged, apply to the Registry for advice. You can avoid the stress and worry of locating misplaced items if you prepare well. After all, you want to enjoy those wonderful moments of your wedding and make beautiful memories of your special day. Here is a great wedding ceremony tip! Appoint a reliable person as the wedding ceremony keepsakes and documents official on your wedding day. This is an essential part of successful wedding planning! Your wedding ceremony keepsakes and documents official is someone you trust to follow your instructions exactly! Following is a basic checklist of instructions to give to your appointed Documents Official. Identify yourself as the appointed ‘wedding ceremony keepsakes and documents official’ to the Celebrant before the wedding ceremony. Be available and receive the ceremony keepsakes and documents immediately after the wedding ceremony. Check the contents of the envelope containing the wedding ceremony keepsakes and documents with the Celebrant. I meet your wedding ceremony documents official before the ceremony and check the instructions carefully. Following the marriage documents signing, I hand over all keepsakes and the Presentation Marriage Certificate securely and safely to your appointed official. You relax and celebrate the special moments of your wedding day with family and friends, confident that your precious items are safe. Do you want to know more about Australian official marriage documents? Do you know that the Presentation Marriage Certificate is not a personal identification document (ID)? Personal identification documents show your date of birth and this information is not shown on the Presentation Marriage Certificate. Although it is a legal document, it is however, not the official marriage certificate. The Official Marriage Certificate shows your date of birth. You purchase a certified copy of the official marriage certificate from the Marriage Registry in the Australian state or territory of your marriage. This certified copy is a personal identification document and serves to verify your changed legal status as a married person. Check out the Australian government page for the most up-to-date and accurate information about Australian marriage documents. 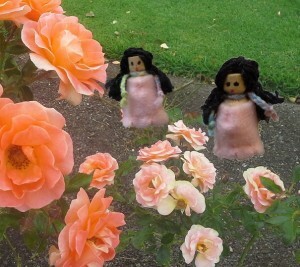 Peg & Pog’s Rose Garden Wedding is Episode 7 of the micro-series, Dolls are Different…or are they? 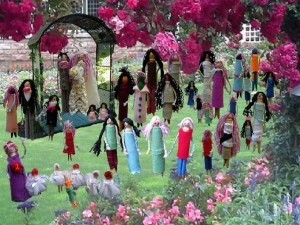 a pegdoll production. 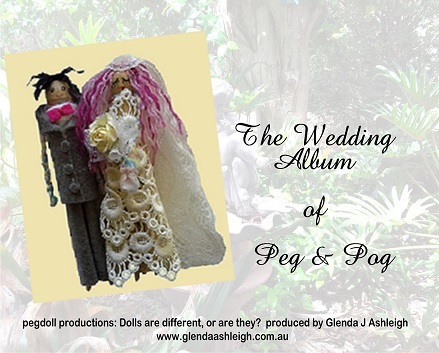 Peg & Pog survive the ‘helpful’ ideas and suggestions for wedding planning by the Doll family members. All Peg & Pog just want to marry in the Rose Garden where their love first bloomed. Doll family members and friends have their own ideas however, and are determined to ‘help’ in making the wedding plans. Before Peg & Pog know it, the Doll family members and friends take over (or so it seems)! At last, Peg & Pog find their ‘ray of sunshine’ in Glenda, Brisbane’s Very Good Celebrant. Peg & Pog fear hurting the feelings of Doll family members and friends by refusing their offers of ‘help’. Glenda, being Brisbane’s very good celebrant, listens patiently to their concerns. 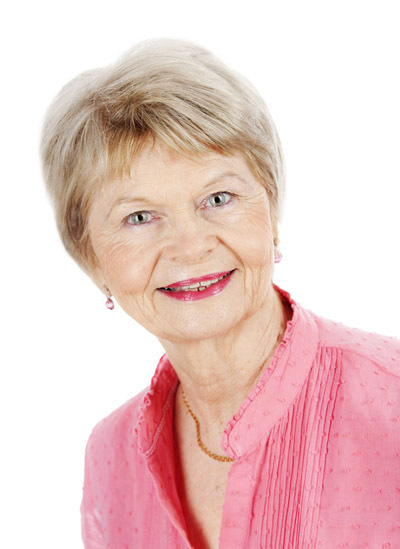 Glenda guides Peg & Pog through ideas, options and practical strategies and smooths the troublesome situation. Peg & Pog are reassured by Glenda’s wise words and the opportunity to discuss what they really want for their wedding ceremony. Peg & Pog’s wedding day arrives! 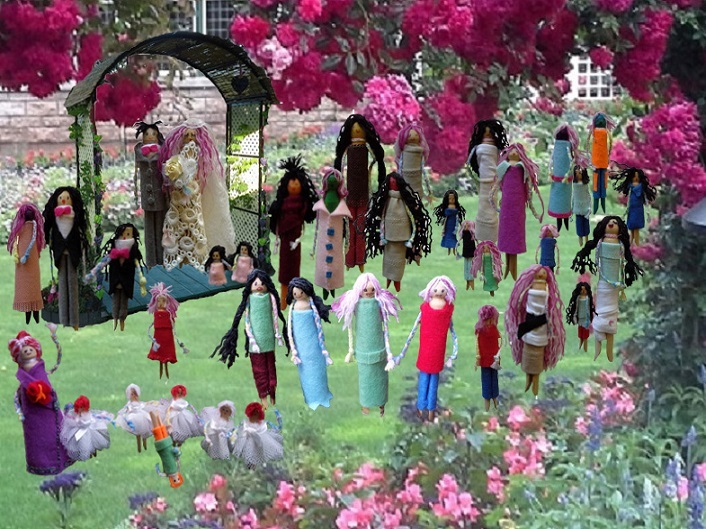 All dolls (and bees) gather in the Rose Garden for a very special wedding ceremony. Doll fashionistas strut their stuff, showing off their latest creations. Doll kids run and play and chase bees, and Doll parents and family members and Doll friends chat and admire the roses. Glenda, Brisbane’s really good Celebrant, arrives and everything is ready! New, fascinating Doll family members join the cast members of episodes 1-6 in episode 7. Use great wedding planning tips to make a difference! As Brisbane’s really good professional Marriage Celebrant, I am often asked about wedding hints and tips for ceremonies. Every ceremony is different, however some tips apply to all wedding ceremonies. We often overlook the really important areas of planning a wedding. Some areas are so commonplace that we take them for granted and we hope that they will ‘look after themselves’. We hope that we will have ‘good luck’ and that everything will go smoothly. Brides often carry wedding charms or keepsakes such as a horseshoe to assure good luck on the day. These are fun, however they do not guarantee that good luck will follow. Of course you want your wedding ceremony to be breathtaking! After all it is your special day and you expect that your ceremony will flow smoothly and be absolutely delightful. Wedding ceremonies must contain the legal requirements, however just meeting the legal requirements for a marriage ceremony does not meet the requirements for an enjoyable ceremony. Here are a few helpful wedding planning tips that I hope will help you to make your ceremony, simply the best! Choose the people and services for your wedding ceremony very carefully. The success of the occasion depends on the choices you make. How well do people understand each other? How respectful they are of each other’s wishes? Communicate at all stages of the process – planning, arriving at the venue, entrances, where people are required to stand, what they do during the ceremony and what happens at the close of the ceremony. Don’t fall into the trap of “Oh I though you knew that…” or “Why wasn’t I told…” or “I didn’t know you wanted me to do that…”. Keep everyone in the communication loop, including your guests. Inform your celebrant of the arrangements. A really good marriage celebrant works with other service providers, eg photographers, event planners, directors and venue staff. They encourage your guests to feel comfortable. Everyone is there to help make this very special occasion a memorable one for all the right reasons. Your celebrant has a big responsibility. He or she is in charge of the ceremony! Dolls are Different, or are they? Peg & Pog are swamped by suggestions from Doll family members who are only interested in getting in on the action, or so it seems! Not only do Doll family members push their ideas, but also new-found friends, such as the exotic Madame Noscova and the ballet class who catch the wedding planning fever! Of course, all dolls want to ‘help’ make Peg & Pog’s wedding the very best. Peg & Pog feel completely sidelined! Apparently their wedding is a community event and they are merely the bride and groom. The Doll family and friends are so eager to lend their particular talents to make Peg & Pog’s wedding an event to remember, that they forget about Peg & Pog’s wishes. Peg & Pog find Glenda, Brisbane’s really good marriage celebrant, who is the ray of sunshine the lovebirds have been desperately seeking. Glenda, Brisbane’s really good marriage celebrant, listens carefully to Peg & Pog before giving them some ideas to think about. At last Peg & Pog feel that they are in control of planning for their special day! Peg & Pog have great fun as they start to plan their special wedding day! Perhaps Glenda can shine a ray of sunshine on your wedding plans!